Some batches contain undeclared sesame. 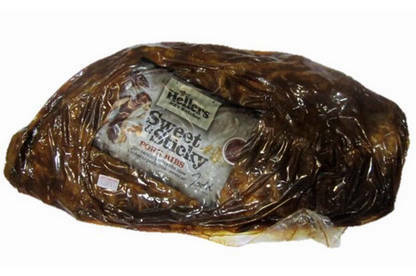 Affected batches of Hellers Sweet & Sticky Pork Ribs have the date marking Best Before: 08/03/17 – 12/04/17 (inclusive). The best before date is printed on the price sticker. The product is sold in supermarkets throughout New Zealand in various weights, and is packaged in plastic vacuum packages. Check the date marking printed on the price sticker. People with a sesame allergy or intolerance should not consume this product. If you have consumed this product and have any concerns about your health, seek medical advice. If you are not allergic or intolerant to sesame, this recall does not affect you. Affected customers should return the products to their retailer for a full refund. For more information, contact Hellers Ltd on 0800 736 728.